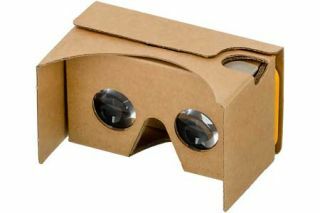 Connect to current events: There are lots of reasons to read a news article with students and Google Cardboard can extend this experience. The New York Times VR app lets users peek into the places around the world. It’s a great way to build empathy and deepen a discussion of a topic. Provide background knowledge: Before kicking off a read aloud book, have students visit the setting of the book by taking a virtual trip. Imagine taking students to the foot of the Lincoln Memorial before reading Patricia Polacco’s Pink and Say. Set the stage for learning: If you’re about to teach a new topic to students a virtual reality experience can help set the stage for learning. Next time you try a KWL with your students, let them first record what they know, then let them take part in a VR experience before asking what they want to know. Energize foreign language practice: Learning how to think on the spot and have a conversation in a foreign language is an important skill students work on in a foreign language classroom. Have students practice explaining what they see in the language they are studying. Take a trip to Mars: Nearpod VR has tons of virtual field trips for students to help them visit places around the world – and around the solar system. Giving students a view of Mars from the ground level can help your students see experience the planets in a completely new way. Build vocabulary: Before students get ready to write about a topic, take a virtual field trip where you ask them to brainstorm a list of words needed to describe a place. This could start as a think-pair-share activity and grow into a class discussion where you gather vocabulary words in a bank for students to use as writers.